Named after its developer, Dr. Clarence Gonstead, the Gonstead analysis utilizes many criteria to detect for the presence of vertebral subluxations. Gonstead procedures are the result of extensive clinical research done by Dr. Clarence Gonstead, founder of the world famous Gonstead Clinic of Chiropractic in Mount Horeb, Wisconsin. Doctor Gonstead’s fifty-five years of continuous practice and over four million chiropractic adjustments resulted in the most complete method of biomechanical analysis available for use by today’s doctors of chiropractic. So why don’t all Chiropractors us this technique? Because the analysis takes more time and mastering the art of delivering a specific adjustment takes a LOT of practice and dedication. Dr. Stacy Gray took numerous courses over several years and became certified in the Gonstead Technique while at Life Chiropractic College in Marietta, Georgia. 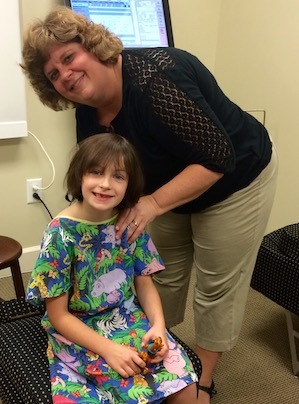 Her father who also is a chiropractor in Wilson, N.C. is a Gonstead chiropractor so she was lucky enough to grow up getting adjusted this way and it was a natural step for them after beginning chiropractic school to begin specializing in this technique. Great care is taken at our office to be as specific, precise and accurate as possible, while addressing only the subluxations. It is our goal to provide the most accurate and painless adjustment possible while ensuring a bio-mechanically correct position and precise thrust each and every adjustment. A Thorough Gonstead Evaluation: Visualization, Instrumentation, Static Palpation, Motion Palpation, and X-Ray Analysis. Your Gonstead chiropractor goes beyond what many chiropractors consider a spinal assessment by conducting a thorough analysis of your spine using five criteria to detect the presence of vertebral subluxations. By looking for subtle changes in your posture and movement, we can assess whether a patient has unleveled shoulders, head tilt, twisted pelvis, flared foot position. These abnormal “carrying” positions can be the result of both acute or chronic patterns of subluxation and give us clues to the direction of misalignments, type of nerve involvement, and long care may take. Unique to Gonstead, is the instrument we use, called the Nervoscope. It is a small heat sensing instrument that detects uneven distributions of heat along the spine which can be indicative of inflammation and nerve pressure. The Gonstead system relies on the Nervoscope and break analysis for its instrumentation findings. The Nervoscope yields a qualitative assessment of thermal asymmetry. The scanning method is conducted whereby a bilateral skin temperature difference is depicted as a meter needle movement to one side. A “break” is an abrupt over and back needle movement seen over the space of one spinal segment. 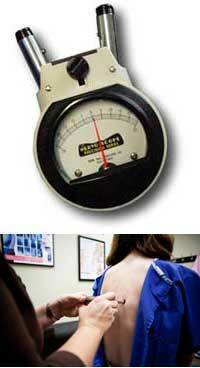 Needle swings that cover the space of multiple segments are termed muscle-vasomotor readings. Gonstead hypothesized that the temperature differences that showed these breaks were produced by inflammation from nerve root compression that radiated heat to the skin surface or from radiation of heat from the skin surface to the area of chronic nerve root compression. Current research shows that there are a variety of neural and myofascial mechanisms involved in paraspinal thermoregulation. This is simply the process of feeling or palpating the spine in a stationary position. We use static palpation to feel with our fingertips for the presence of swelling, tenderness, or tightness in the muscles and spinal joints of your spine that helps us determine where to adjust. This process involves palpating the spine as it is moved passively through various planes of motion. By moving and bending the spinal segments in different angles, we can assess whether a vertebral segment is stuck or fixated. Motion palpation also helps us determine the likely direction of misalignment.We use a process called motion palpation to feel the spine while moving and bending it in different positions. This enables us to feel the location of the individual bones and how they may differ from their normal position. Finally if warranted full spine x-rays are taken to visualize your spine and evaluate for vertebral misalignments, posture, joint and disc integrity, fracture, and for ruling out any pathologies. 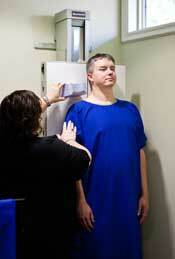 Also unique to Gonstead chiropractors is that we take full spine x-rays while in a standing, weight-bearing position. Analysis of x-rays with specific line drawing and measurement techniques are used to determine the direction of misalignment, and then we know which specific direction to correct the subluxation during the adjustment. A fter a complete analysis of your spine, its time to deliver any necessary adjustments. Our focus utilizing the Gonstead adjustment is to be as precise, specific, and gentle as possible. We take great care in restoring the affected vertebra back into place as effectively as possible so we can restore the integrity of your spine. To adjust your lower spine and pelvis, we’ll have you lie on your side. Subluxations in the middle back are corrected as you assume a lying down on your stomach position. Neck adjustments are performed when you are seated, so we can restore the integrity of your spine without twisting or rotating your neck. Sometimes you’ll hear a slight “popping” sound that we call cavitation which is perfectly normal. The Gonstead System is one of the most advanced and scientific methods for correcting spinal misalignments or subluxations! Call our Raleigh chiropractic office today to discover the Gonstead Chiropractic Advantage!